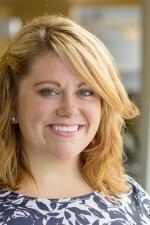 Posted on November 21, 2013 at 9:00:00 am by Katie R.
Update: Restaurant pricing and participation may have changed. Please contact the restaurant directly for the most current details. The holidays have finally arrived! Thanksgiving is here, and with that comes turkey, stuffing, family time, and the start of the holiday rush. While many are navigating the aisles of the grocery store among the throngs of anxious shoppers, we know that there are others that want to truly relax and enjoy the time they have with their family without all of the other hoopla. 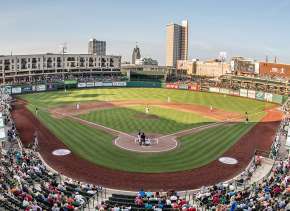 Whether you&apos;re not a cook, or just want to spend time with friends and family without all of the fuss, there are plenty of restaurants in Fort Wayne that will be open and ready to help you have the happiest of Thanksgiving&apos;s! Tucanos. 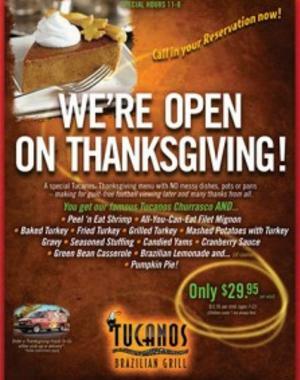 Tucanos Brazillian Grill just opened up at Jefferson Pointe, and they are ready to give you a mess free Thanksgiving meal! They will be offering a special thanksgiving menu featuring all of you Thanksgiving favorites, and a few Brazilian twists too! You Thanksgiving meal will include: peel and eat shrimp, all-you-can-eat filet mignon, turkey, mashed potatoes, green bean casserole, stuffing, candied yams, cranberry sauce, Brazilian lemonade and pumpkin pie. 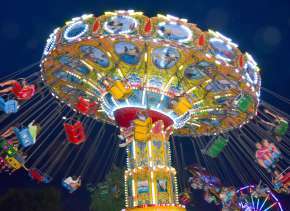 The cost is $29.95 for adults, and $11.95 for children ages 7-12. Little ones under the age of 7 eat FREE! Reservations are encouraged and can be made by calling Tucanos at 260.436.4433. Hours are 11am-8pm. Don Hall&apos;s Guesthouse. 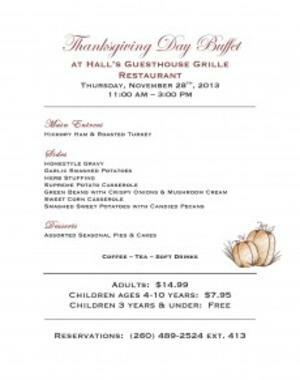 Don Hall&apos;s Guesthouse will be offering two different Thanksgiving Day meals. 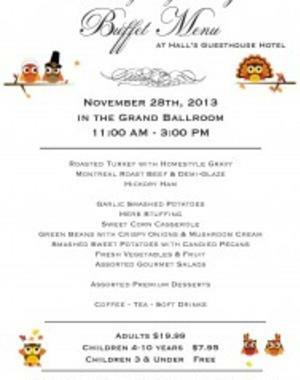 The first is a buffet of Thanksgiving favorites in the Grand Ballroom of the hotel. 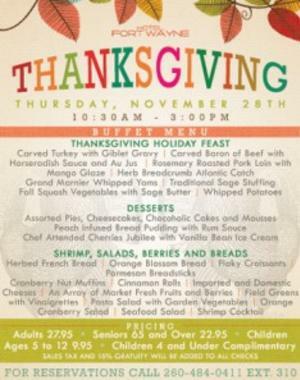 The buffet entree options are roasted turkey with gravy, roast beef with demi-glaze and hickory ham. Sides include: garlic smashed potatoes, herb stuffing, corn casserole, smashed sweet potatoes with candied pecans, fresh fruit and vegetables - and more! There will also be a variety of desserts for a sweet treat after your meal. 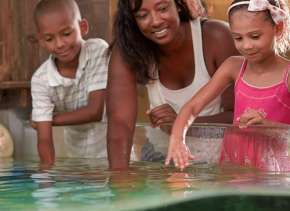 The cost is $19.99 for adults, $7.95 for children ages 4-10, and kiddos 3 and under eat FREE! The second Don Hall&apos;s option is a buffet in the Grille Restaurant. This will include hickory ham and roast turkey for the entree. The sides will be home-style gravy, smashed potatoes, green bean casserole - and more! Dessert will also be offered. The price for this buffet is $14.99 for adults, $7.95 for children 4-10, and children 3 and under are once again FREE! 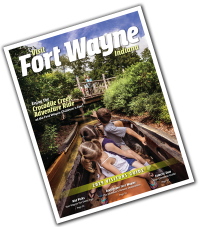 Reservations for both buffets are encouraged and can be made by calling Don Hall&apos;s Guesthouse at 260.489.2524. Back 40 Junction in Decatur. Hours are 11am-7pm. Cracker Barrel. Hours are 6am-11pm and walk-ins are welcome. Golden Corral. Hours are 10am-8pm. Granite City. Hours are 10am-3pm and they will accept reservations and walk-ins. No matter what your Thanksgiving Meal choice is, we hope you have a very happy Thanksgiving! Did we miss anything? Feel free to let us know in the comments!